Before this video excerpt started, I had already gone through the basic safety protocols, explaining among many other things that we use two halyards, with one as a safety. We gave a “jump test” on both halyards, imposing an impact load to make sure of their integrity, just as we would for any other aloft work. In this case the safety goes to a handy-billy, tended by our rigger Julia Briggs. The video opens with Olivia starting to climb, and Julia taking up the slack in the safety. Note that Julia is not adding any help; she is just keeping the slack out of the safety, in case the primary fails. Yes, the ratchet makes a big difference, but also yes, Olivia is that strong. 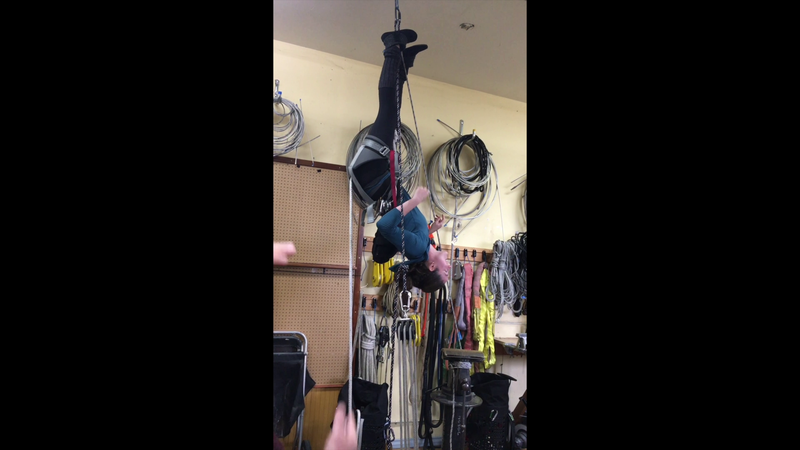 We go on to talk about belays, bracing against the mast, and other details, and then, at about 1:37, we conduct the “Inversion Ritual.” The idea is that you cannot fall out of a good, properly-adjusted harness, and I find it useful to prove that to yourself, to reassure your hindbrain that at least you don’t have to worry about that particular misfortune, and that therefore you can devote more of your energies to dealing with all the actual scary realities of working aloft. 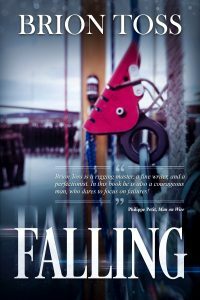 A bit later, Olivia “faints,” as we talk about planning for rescue aloft. The balance of the video covers some of the many, many other aspects of good aloft practices. People can — and should — take days to learn this stuff thoroughly, but in our classes we at least try to introduce the students to some of the most important details. I think we are just about at the point where I can, with a clear conscience, recommend that you add items from our Catalog to your Holiday shopping lists. For more on working aloft, please see my Working Aloft video, in which a much younger me goes into all of this in much greater detail. You can find it in the video section of our catalog. Just click Here and scroll down.You’ll also find written aloft-going ideas in the Rigger’s Apprentice. That is available on Amazon and other sites, but if you want an autographed copy, click Here. 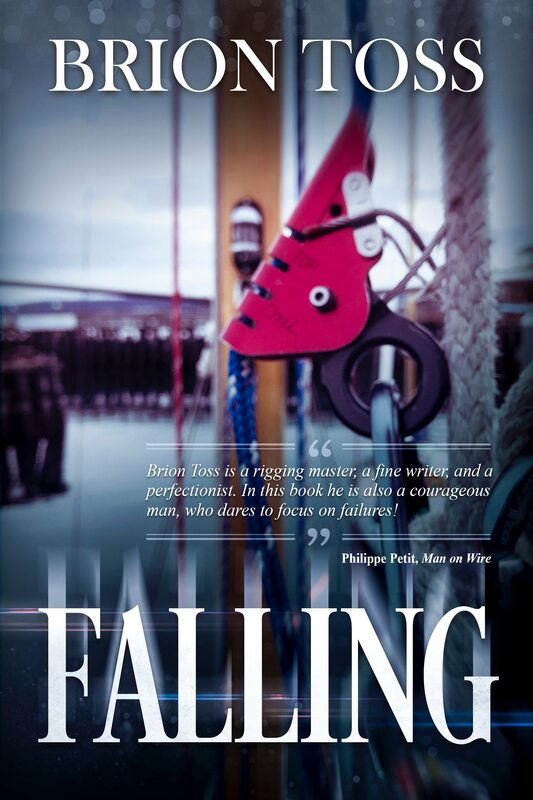 Finally, it is about time you treated yourself and/or a loved one to Falling. It’s an e-book, which means you can drop it into the email queues of all of your friends and family. It’s available from iBooks as well as Amazon. Get More Brion In Your Inbox! Enjoy the wit and wisdom of every new post by email by signing up for notifications for every new entry! This was a great workshop and I had a blast. As an industry professional I am always looking to further my knowledge. This workshop provided the perfect opportunity. 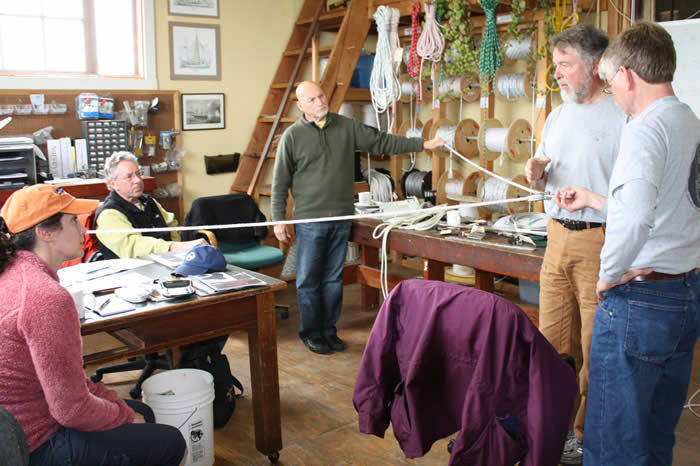 I would recommend Brion’s workshops for anyone from the casual sailor to the industry expert. It was a blast for me, too, one of the best workshops we’ve done. Thanks to you, especially, for your contributions.